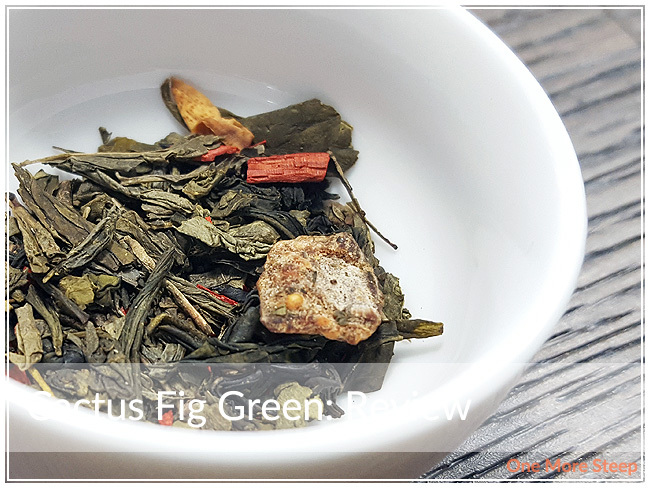 Citizen Tea has provided me with Cactus Fig Green for the purposes of providing an honest review. I received this product at no charge to me and received no other compensation. I’ve had aloe juice before – it’s delicious and has little chunks of jelly in it (at least the brand I buy does), so when I saw that this green tea blend had aloe vera in it, I was both intrigued and confused. Mostly because I know there wouldn’t be little chunks of jelly in this tea, so I was curious about how it would taste. On first smell, I can tell you that it smells sweet, which is the first thing I would tell you about aloe juice as well. I can smell the sweetness from the aloe and the figs. Cactus Fig Green is made up of: green tea, fig pieces, aloe vera pieces, sandalwood, orange flower petals, and flavouring. I’m not entirely sure what sandalwood is supposed to smell like, but I can definitely see it in this blend and there’s something that reminds me a smoked wood aroma from this tea, so it might be that. 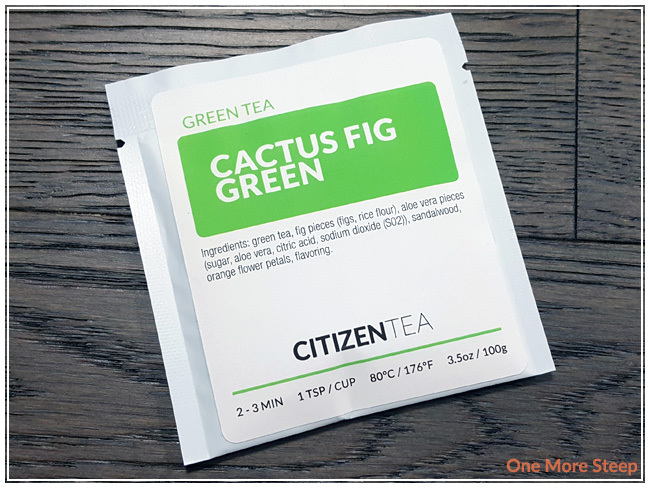 Citizen Tea suggests steeping Cactus Fig Green in in 80°C (176°F) water for 2-3 minutes, which I followed. My initial steep was for 3 minutes. Cactus Fig Green steeps to a pale yellow, there was some little bits of the tea that made it through my stainless steel infuser so I would recommend steeping with a drawstring teabag if that bothers you. The tea itself has a very fresh smell to it, which is honestly the best way that I could describe it. The aloe aroma is a very ‘clean’ smell, it’s bright and fruity. 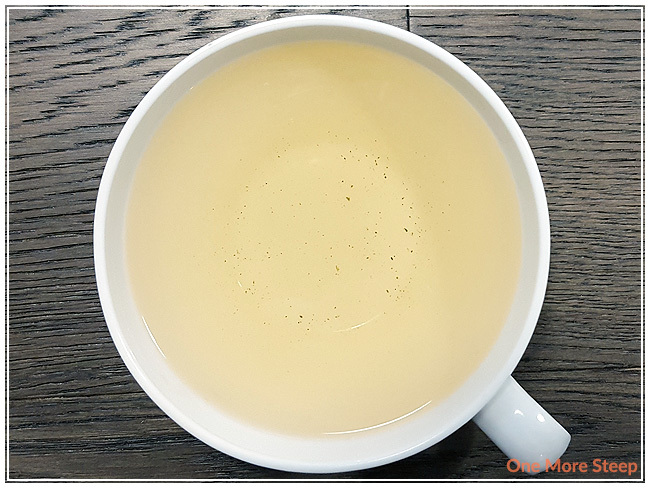 The taste of aloe vera is very much present in this green tea blend. I found the tea to be light and smooth, no bitterness to note. There was a sweetness to this tea that I attribute to the aloe and the figs. The sweet fruitiness of the figs was tasty, but I think the aloe was just a little bit more in the forefront of the flavour profile. The green tea base has a light grassy taste to it that is complimented well by the flavours of the aloe and the fig. I resteeped Cactus Fig Green once, at the same water temperature for 3 minutes and 30 seconds. I found the flavour to be a lot lighter, with more grassy notes. 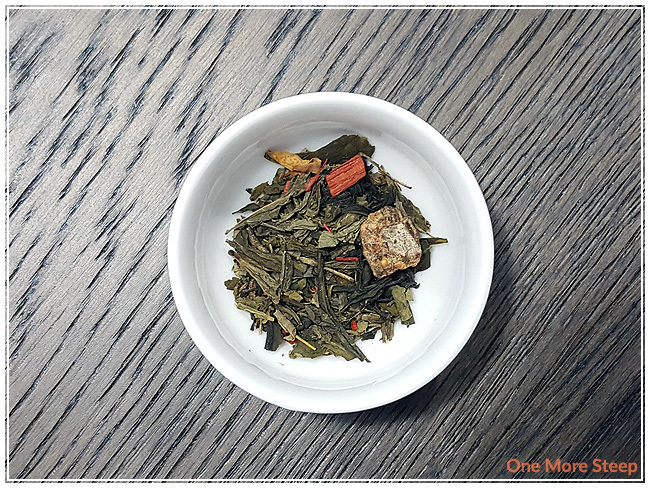 The overall flavour felt a bit flat to me, but the green tea base was starting to reveal itself more so I think it’s worth a resteep to have a different flavour experience. I loved Citizen Tea’s Cactus Fig Green. 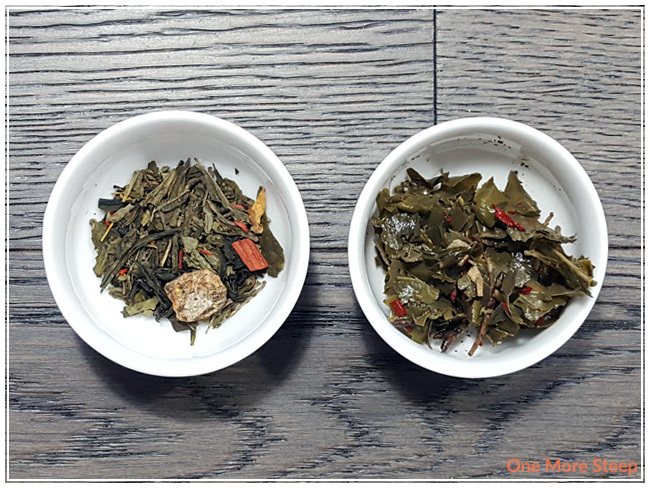 As I mentioned at the beginning, I’m a huge fan of aloe and I found that the flavours of the aloe and the fig played really well together with the green tea base that Citizen Tea used. It’s quite a refreshing tea, the flavour is sweet and light with a bit of fruity goodness in it. I think this tea would do really well if cold steeped or iced, which makes it a good summer time tea. I don’t even think you’d have to add any sweetener to it because the aloe and fig provide enough sweetness to this blend.